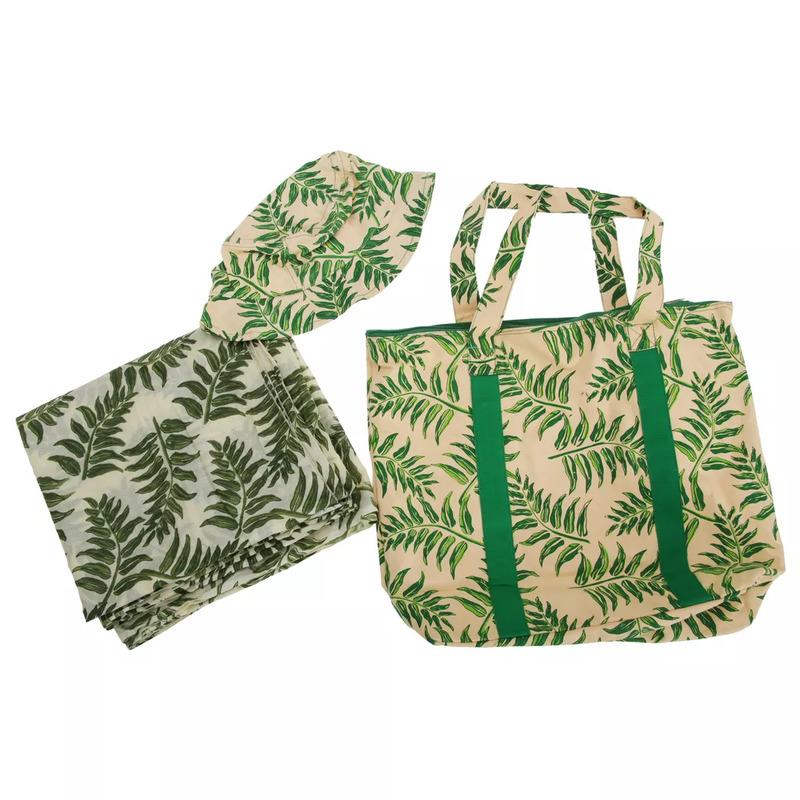 Summer beach bag with leaf print design. Large zip fastened main compartment with an extra zip fastened pocket inside. Comes with matching bucket hat and sarong wrap. Bag Size: (approx) H13in x W17in x D4in (33cm x 43cm x 10cm). Sarong size: 91in x 41in (232cm x 105cm).